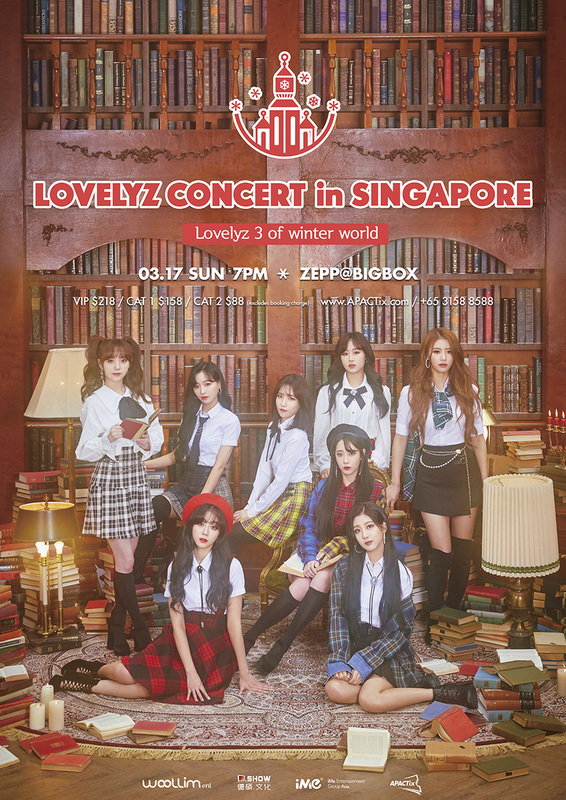 [RELEASE] K-Pop Girl Group “Lovelyz” brings their concert, “Lovelyz 3 of Winter World” to Singapore for the first time. Woolim Entertainment’s first girl group “Lovelyz” was formed in 2014 and consists of eight members: Baby Soul, Jiae, Jisoo, Mijoo, Kei, Jin, Sujeong and Yein. Lovelyz debuted in on November 17, 2014 with “Girls’ Invasion” and have gained lots of love and attention from fans with their girl-next-door image. Lovelyz debuted with the album “Girls’ Invasion”, along with the lead title song “Candy Jelly Love”. They won their first ever music programme win with the song “Now, We” in May 2017, on SBS MTV, The Show. Lovelyz released their latest EP on November 26, 2018 named “Sanctuary”, with the lead single “Lost N Found”. They have just wrapped up their successful promotions in Japan for this latest album. Within 1 minute, Lovelyz has sold out all seats to four consecutive days of their third solo concert, ‘Lovelyz in Winter Wonderland 3 in Seoul’. This concert will be held on 14 – 17 Feb in Yonsei University Grand Hall. This will be the first time Lovelyz will be in Singapore since their debut in 2014. The concert will be held on 17 March 2019, 18:00 at ZEPP@BIG BOX, and is proudly brought to you by Dshow and iMe Singapore. 1 Comment on [RELEASE] K-Pop Girl Group “Lovelyz” brings their concert, “Lovelyz 3 of Winter World” to Singapore for the first time.